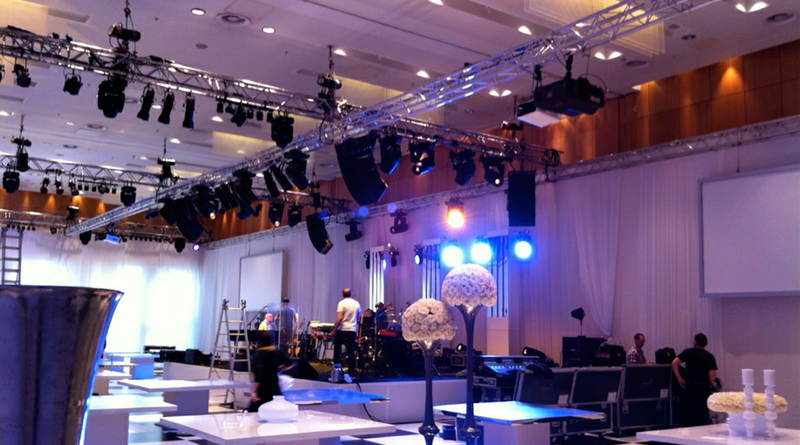 Through work with leading event producers, Skan provides audio to a select number of corporate events. 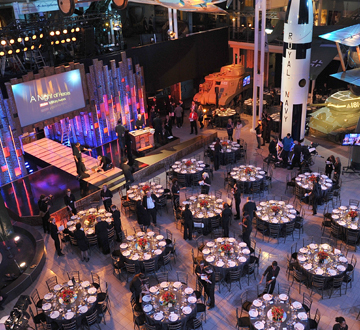 The range of our work encompasses awards galas, corporate presentations, parties and more. With equipment designed specifically for this market, Skan can provide an audio solution for any event. Skan was asked by production managers Chris Vaughan & Keely Myers of The Production Office to provide audio for both the main Children in Need event at Manchester Evening News Arena and the pre-event gala. The gala required Skan to provide a visually unobtrusive system which would provide perfect audio coverage for the VIP guest list. This was no mean feat inside a predominantly white-dressed room. Utilising d&b Q series dead-hung from flown truss and J-SUBs hidden under a soft-fronted stage, the brief was achieved and the event was a fantastic success and a fitting warm-up to the main event at MEN arena. At the gala, there were live performances by Gary Barlow and Jamie Cullum and a DJ set from Fearne Cotton. Skan has worked with production manager Paddy Hocken on Sunseeker events for several years. These events bring together Sunseeker dealers and owners for five days of meetings and events. We enjoy the challenge and unusual locations with recent events in Madeira, Phucket and Cancun. A typical event will include presentations requiring lapel mics and high intelligibility reinforcement, background music during dinner, pool-side parties, fireworks events, discos and beach parties. The full spectrum of audio from subtle to banging! Given the locations, Skan has to design a pool of equipment suitable for all events yet flexible enough so we don’t have to send the whole warehouse. On behalf of the team at ESC Events and our client; The Sun, I would like to thank you for all of your hard work in making The Sun Military Awards (Night of Heroes), such a huge success.